I got sucked into this one pretty quickly. The twangy guitar sets the scene of this barren Western showdown, and then the groove hits. The production quality is superb, as you can distinguish between each crisp beat and the horns don’t sound tinny, but rather atmospheric. A little eccentric house music on this Futuristic Friday. 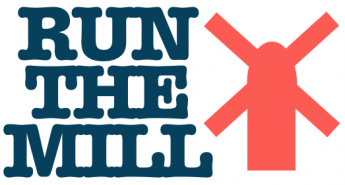 In light of “Throwback Thursday” or “#tbt” which involves posting something that has nostalgic value, we at RunTheMill wanted to turn this popular convention on its head. This weekly posting will share a song that is either ahead of its time or attempts to push us out of our comfort sound zone. The new album by Public Service Broadcasting, “Race For Space” fits succinctly within our “Futuristic Friday” theme. 1) It’s otherworldly. “Gagarin” features radio or TV clips describing the first man to journey into outer space and orbit the earth, Russian astronaut Yuri Alkseyevich Gagarin. 2) It’s infectiously funky. That horn section. 3) See video. I definitely see a resemblance to the Capital Cities’ jam “Farrah Fawcett Hair,” below. Happy weekend.